The Herb Monroe Community Park was dedicated September 30, 2014. 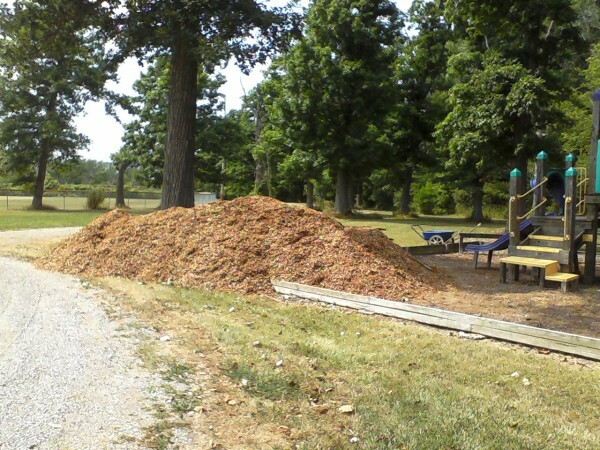 The park began as a Leadership in Action project sponsored by the Paulding Chamber. 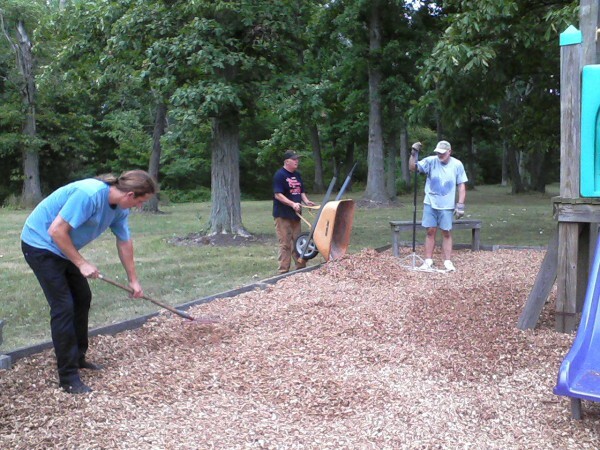 The Village of Paulding acquired the property from Certified Gas Station and thanks to two of the Leadership in Action Classes and the support and generous donations of community members the park is now a beautiful example of the life of Herb Monroe. Residents of the community built an 11,000 sq. 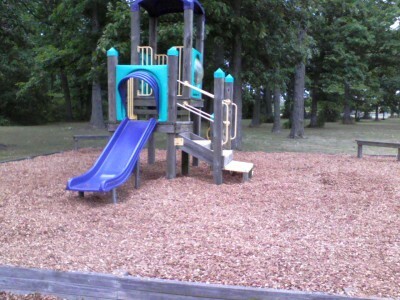 ft. playground (Freedom Station) that is sure to keep your children busy and having fun for hours! Construction was completed in October 2001. 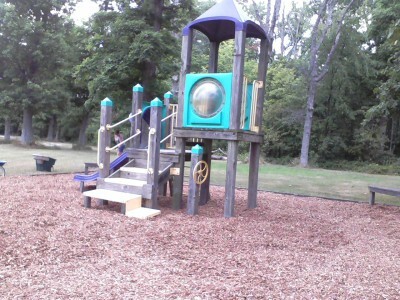 The playground features a Tot Lot for children 2-5: play school bus, canal boat, phone system, swings, slides, tree house and more! A shelter house and public restrooms are conveniently located on the grounds. Contact the Village Office to reserve the shelter house for your next family get-together or private party. The Ball Complex is a result of a generous bequest from Lela McGuire Jeffery and the hard work of the Paulding Ball Association along with many generous donors. The park opened May 14, 2011 and hosts summer baseball and softball games. The ball complex has four separate ball diamonds and one with lights for night games. All four diamonds are named after their donors, Field #1 Zachary Arend Memorial Field, Field #2 Defiance Metal Products Field, Field #3 LaFarge Field, and Field #4 Doyle Hartzog Field. The complex is complete with a concession stand, restrooms and is handicap accessible. The ball complex located adjacent to the reservoir is one of Northwest Ohio's finest facilities complete with three brick dust infields. The park hosts several USSSA slow-pitch softball tournaments throughout the summer: along with weekly men's, woman's and co-ed leagues. 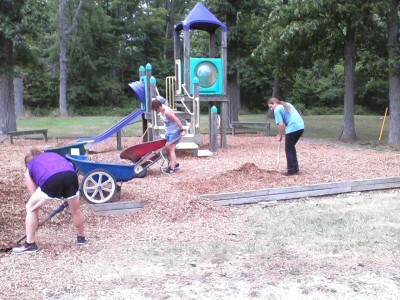 The park also provides a children's playground, basketball court, Wiffle Ball field, and pavilion. Contact the Village Office to reserve the pavilion or any of the fields. for there time on a very hot afternoon at the Reservoir Park! Paulding Reservoir provides a variety of recreational activities to those of any age. Paulding's 67 acre reservoir not only provides water to village residents, but also the opportunity to fish for bluegill, suageye, perch, catfish and other varieties. Boat stickers and hunting permits are available at the Village Office. The Water Park was completed in June 2001. The zero entry swimming pool has several water features including the umbrella shower, lemon drop squirts and tumbling buckets. The huge water slide will provide thrills during the 18 second ride. Baby pool, shade umbrellas and lounge chairs are provided for an enjoyable day at the Paulding Water Park. Our local skateboarding kids led by Robert Grubb and Carol Cowell began fundraising in 2004 for the Paulding Skate Park. The summer of 2005 they were successful in raising the money for the building of the park. The Paulding Skate Park officially opened October 2005 and is enjoyed by many skate board enthusiasts.